Paris continues to be a popular destination with tourists, especially families, since it is not only affordable, but offers endless opportunities for fantastic experiences. Of course there are world famous museums and landmarks, beautiful parks and churches, glorious food to be enjoyed, but where should families stay in Paris? It’s a question that is commonly asked, but not easily answered. 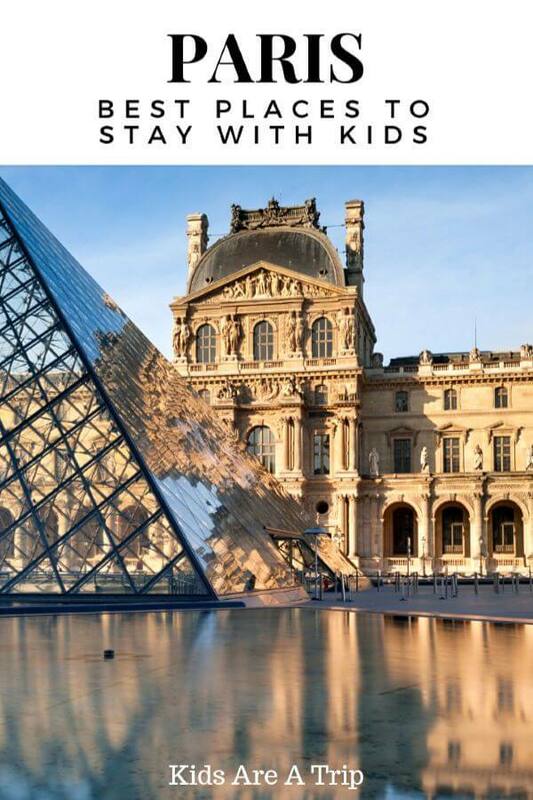 We went out and asked some of our favorite travel writers for their best places to stay in Paris with kids and here is what they had to say. *This post contains affiliate links. I may get commissions for purchases made through links in this post. Paris is divided into twenty neighborhoods (arrondissements), so you will want to pay attention to the arrondissement when booking your accommodation. The arrondissements are arranged in a clockwise spiral pattern from the center of the city, with the heart of the city being the 1st arrondissement. When you see Rive Gauche (Left Bank), those are the arrondissements on the southern part of the Seine River, Rive Droite (Right Bank) are the arrondissements on the north side of the river. These are some of our favorite family hotels in Paris for you to consider. The Westin Paris Vendôme has one of the best locations in Paris. 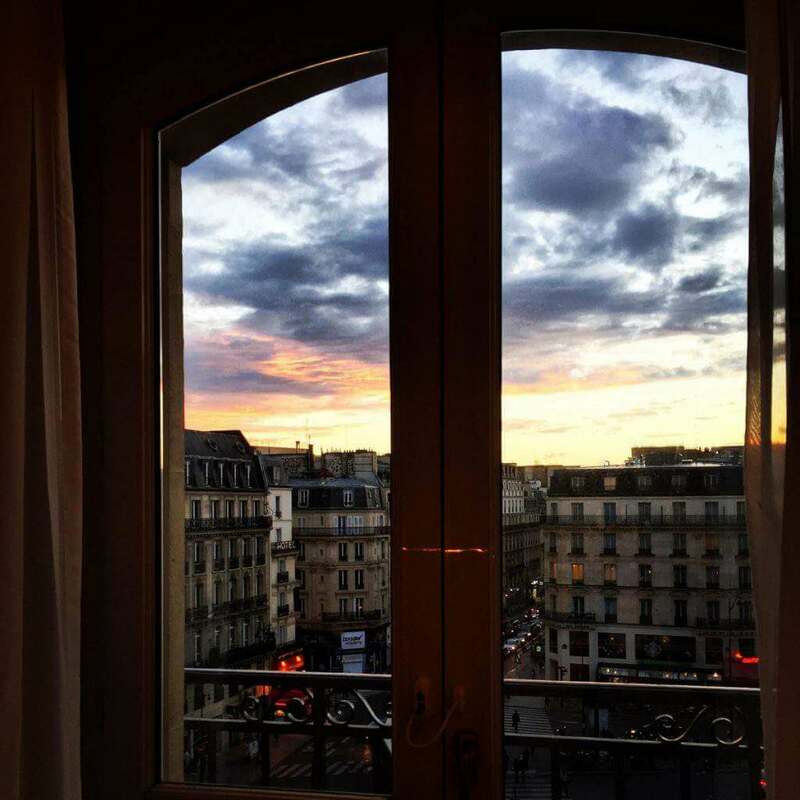 Many rooms have beautiful views of the Tuileries Gardens and some even have views of the Eiffel Tower. Part of the SPG family, it’s a great place to redeem those points. Hotel Opéra Richepanse also occupies a prime location in Paris. 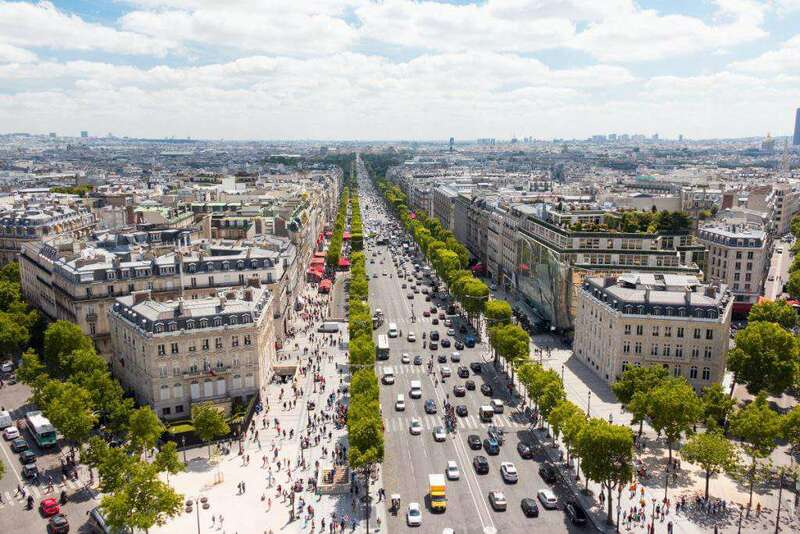 Located near Opera Garnier and Champs Elysees, it’s convenient to everything families need, sight seeing and transportation. The property offers a generous breakfast buffet and adjoining rooms that will sleep up to five people. There are endless restaurant options nearby and room service available 24 hours a day. Westin Vendôme is perfectly located to the gardens. Hotel Left Bank Saint Germain: a charming and cosy hotel beautifully decorated like an old mansion with antique furniture and tapestries. The hotel provides a quadruple room with a view on the flowered courtyard that is quite romantic. 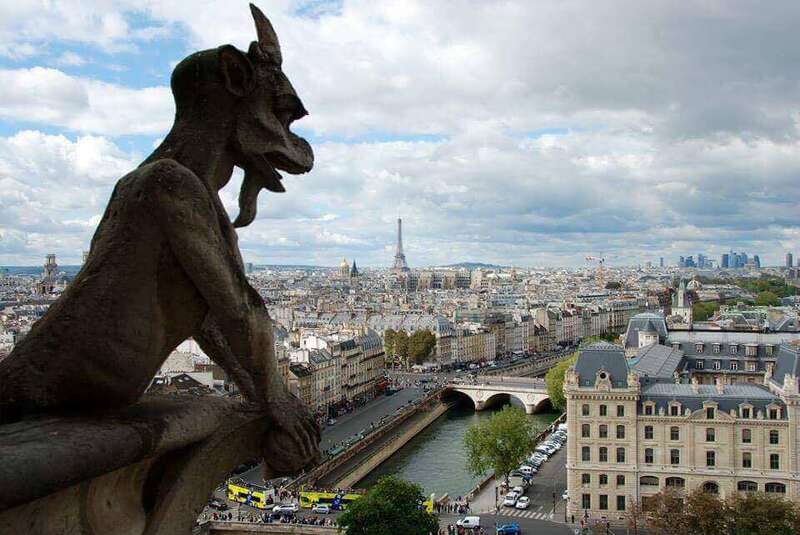 Excellent location, close to Notre-Dame. Le Prince Régent Résidence & Spa: in the 6th arrondissement near Luxembourg Gardens, the Pantheon, and the Sorbonne. Le Prince Régent is located in an 18th century building which has been restored as an apartment/hotel. They offer several suites that can accommodate 4 to 6 people. We stayed in this apartment we rented through VRBO in the 5th arrondissement. The location of our apartment could not be beat. We had restaurants and shops just under us and an open air market was at the end of the street 3 times a week. We were walking distance to most of the city’s main attractions and between 2 metro stations which made commuting very easy. Villa Daubenton is located in the heart of the Latin Quarter and offers 17 apartments of varying sizes. Close to the Luxembourg Gardens and the Pantheon, they are part of the HappyCulture hotel chain so guests can visit any of the other HappyCulture properties for an afternoon snack, drink, or assistance. The apartments are spacious with full kitchens and baths. The staff is extremely friendly and willing to go above and beyond. They even have Netflix and popcorn for movie nights just like at home. You can read our review of Villa Daubenton as well. 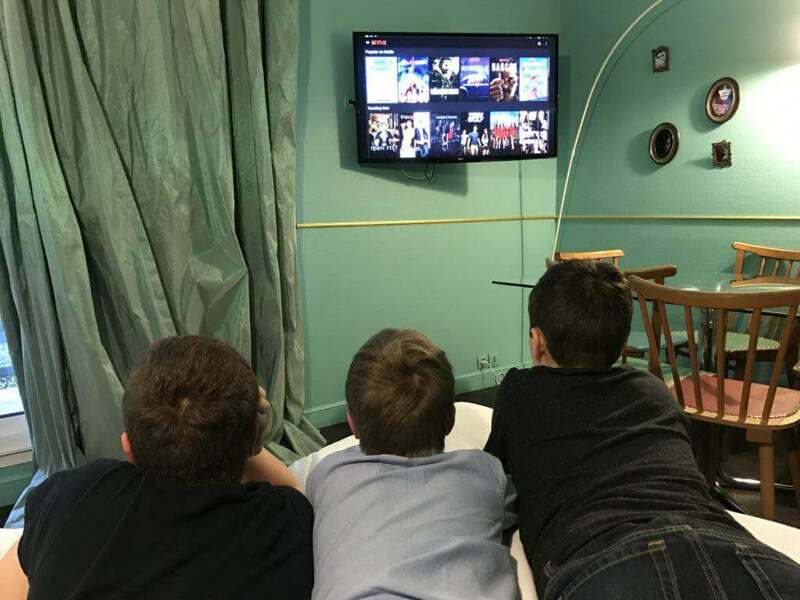 Our kids loved being able to relax with Netflix after a long day of exploring. Rented this apartment through the agency Paris Apartments Plus. Located near the Eiffel Tower and Les Invalids, this charming, 1 bedroom has a with a view of the Eiffel Tower (when you lean out the living room window). Wifi, kitchen, washing machine, and even an extra toilet. Within a block were multiple restaurants, grocers, boulaungerie, chocolate shop, wine shop, and we were 4 blocks from the famous Rue Cler fresh market. Hilton Paris Opera: this really beautiful historic hotel is in a great location with easy access to the Louvre Museum and the famous department stores, Galeries Lafayette and Le Printemps. We had a fantastic oh-so-chic corner room with French doors on each side connecting to our kids room via a small hallway, so it felt like a small apartment. The bathrooms were beautiful and had heated tile, great hairdryers, and ample closet space…these things always make me smile. There was a delicious buffet breakfast that was free for all guests, (you don’t find that very often in Paris), and the kids loved the self serve candy bar in the executive lounge! InterContinental Paris Le Grand: The Le Grand is located in the Opera district and generally you can walk most everywhere with a pair of good walking shoes. It took us about 15 minutes to walk to Place de la Concorde near the entrance of the Christmas Market. 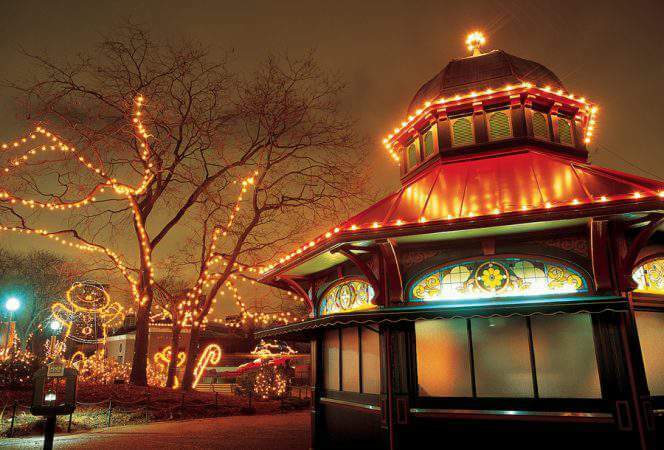 We were all oohing and aahhhing over the lights, the ambience, the fact we were in Paris at Christmas time! Truly special and magical. 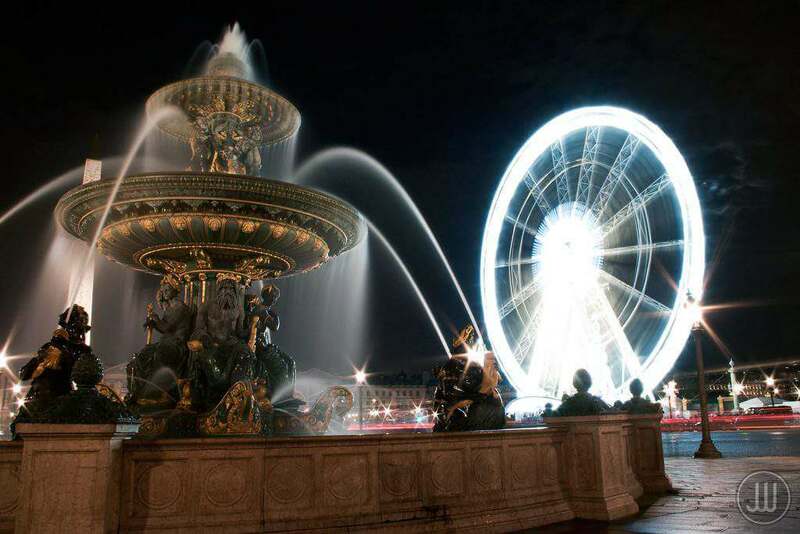 The fountains at Place de la Concorde. This Airbnb apartment was fabulous because it was around the block from Champs-Elysees and right around the corner from the metro. 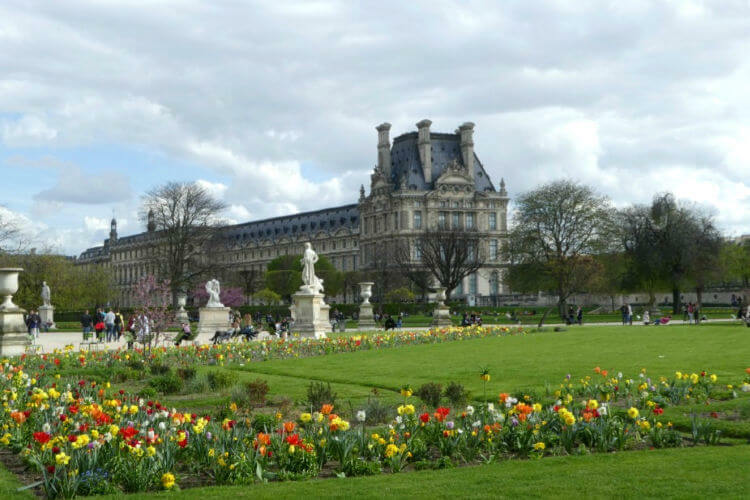 There were plenty of stores, restaurants, and shops nearby and easy to walk to the Louvre. It was the perfect arrangement for their family. 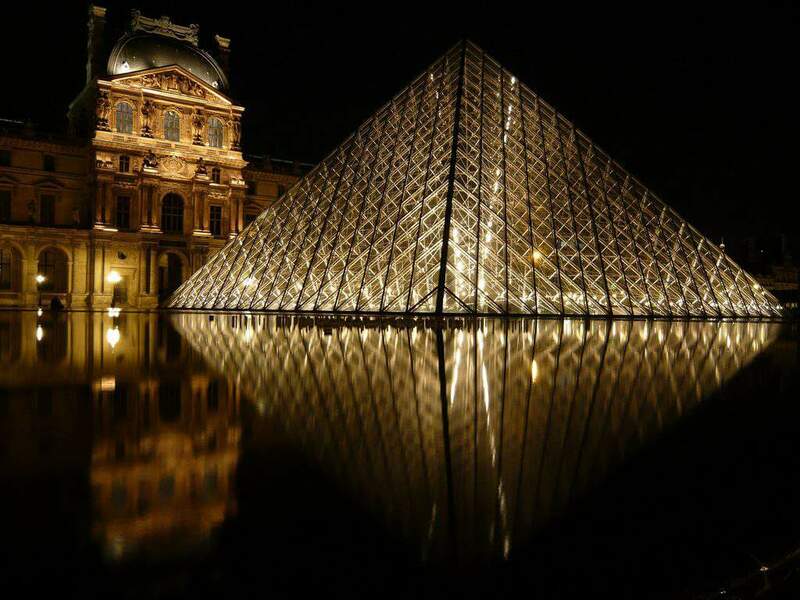 Isn’t The Louvre beautiful at night? We had an issue with our Airbnb reservation (they cancelled on us 6 days in advance of the stay and we were already in Paris). I spent five hours of our vacation researching hotels (I was not about to be burned by another home rental) and came upon Astotel, a chain of 3* and 4* hotels throughout the city. Since we are a family of 5, it is difficult to find rooms that accommodate all of us. Thankfully, they had reasonably priced rooms and we found a hotel with a three person room and a two person room for less than $200/room. We stayed at the Hotel Acadia, and we could not have been happier. 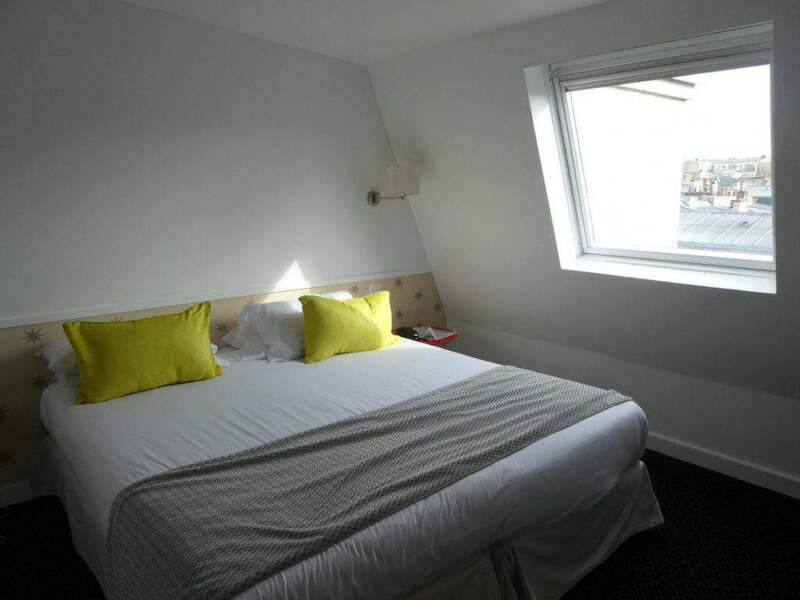 The staff was pleasant, the three person room was spacious, the two person room was standard size. Even better, breakfast was included. This chain of hotels allows you to stop at any of their properties during your stay for a snack or coffee. We definitely made use of this and visited Hotel George and Hotel Astoria for some lovely treats while out exploring. The location was close to the Grands Boulevards Metro stop and we walked about 20 minutes to Sacre Coeur. It’s on a quiet side street just off Rue de Montmartre. Rooms were clean and had views of the Paris rooftops. The Pullman Paris Eiffel Tower is a five minute walk from the Eiffel Tower and Park Champs des Mars. Rooms are clean and comfortable and families can stay in a family suite. Some rooms offer views of the Eiffel Tower and Seine River and on-site dining is a perfect option for families after a busy day of sight seeing. Citadines Trocadéro Paris: located in a quiet area of Paris between the Champs-Elysées and the Eiffel Tower. This apart’hotel offers fully equipped apartments for one to 4 guests, a 20 minute walk from the Musée du Quai Branly. Le Meridien Etoile: Just around the corner from the Avenue de le Grande Armee, which runs straight up to the Arc de Triomphe and the Champs-Elysees. Le Meridien has excellent family amenities and access to all of the things to do in Paris with kids, making it an easy choice. Amy’s family stayed in this HomeAway rental in Montmartre. While it wasn’t in the heart of the action, it was close to Sacré-Cœur and transportation that will take you anywhere in the city. Staying in a rental is a great way to save money in Paris. This Airbnb rental was perfect for Paris Disney because there was a free shuttle that would take you to Disney. It was only a few blocks away and there was a mall across the street with a ton of amazing shops and restaurants. This one was like a villa in a hotel more than an apartment. Aren’t the Global Munchkins adorable? 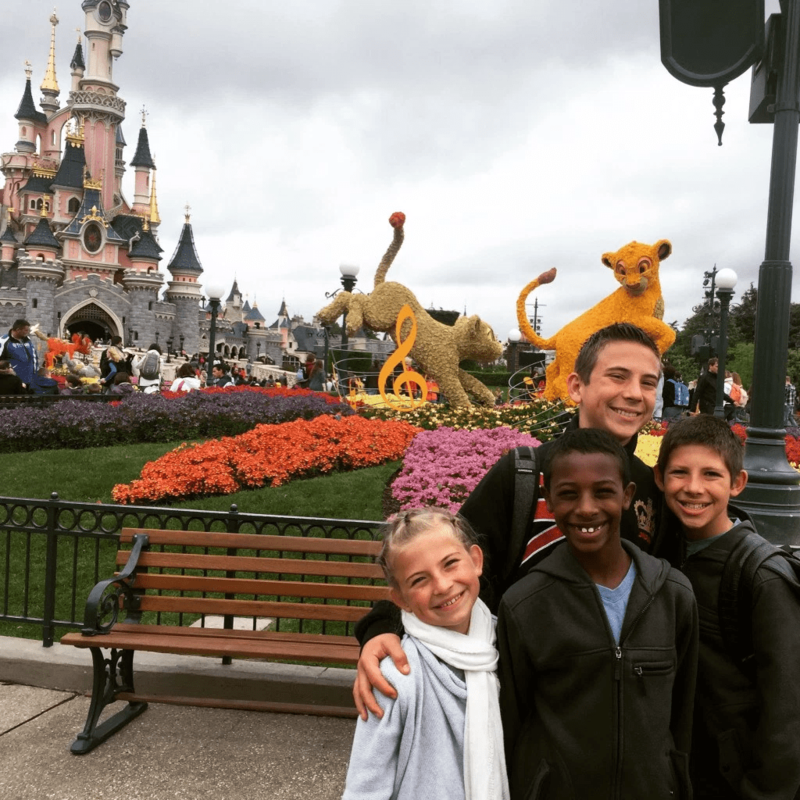 Natalie Chen stayed at the Disneyland Paris Hotel to celebrate her daughter’s 7th birthday, here is her review. 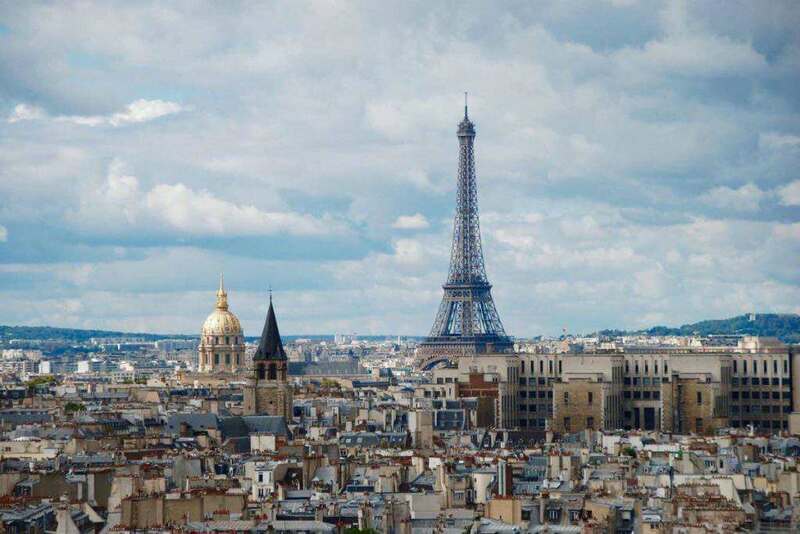 One Fine Stay, HomeAway, Vacation in Paris, FlipKey, and Paris Perfect. 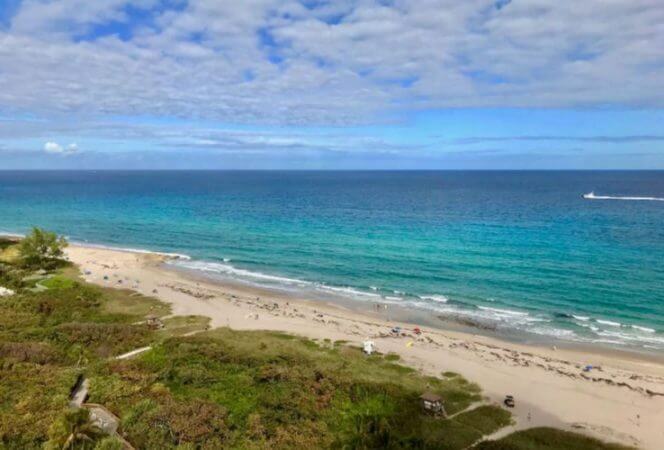 If you want to see why we love vacation rentals for families, read this. Tips: Always read the fine print. Only stay at properties with at least 15 reviews. Look for properties with a lot of photos. Consider booking a fully refundable hotel in case there are any last minute issues. Ask questions, if you’re not satisfied with the answers move on. If you’re looking for other Paris info, don’t miss our posts: Best Things to Do in Paris with Kids, How to Save Time and Skip the Line in Paris, Best Playgrounds in Paris, Flytographer in Paris, and Why Context Tours are Perfect for Families. 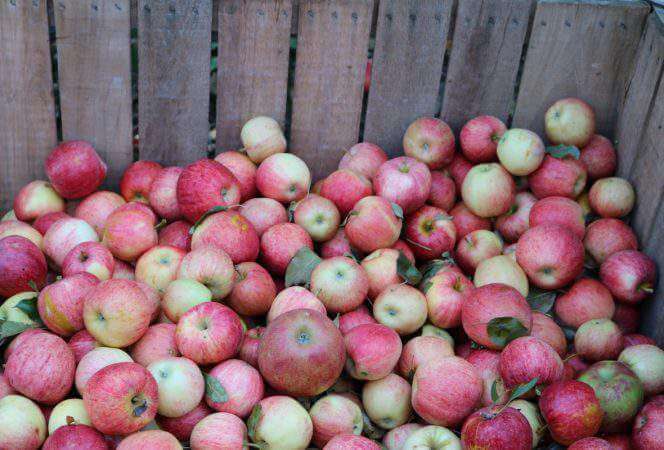 *This post originally appeared in January 2017 and was updated in November 2018.